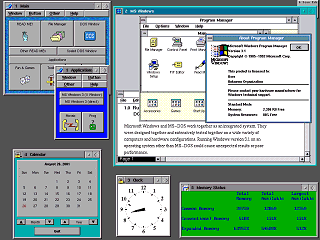 DESQview/X includes a program that overrides the Windows 3.1 video, keyboard, and sound drivers to turn Windows 3.1 in to an X-window application!. 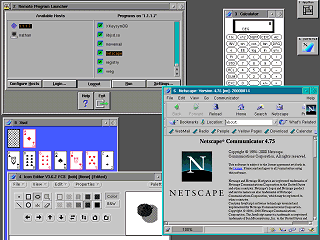 Because it is an X application, it can even be run remotely from other X11 systems such as Unix or Linux systems. (But somehow I don't think Mr. Gates really wants people doing that). Next, several applications written for DESQview/X (not included with DESQview/X). 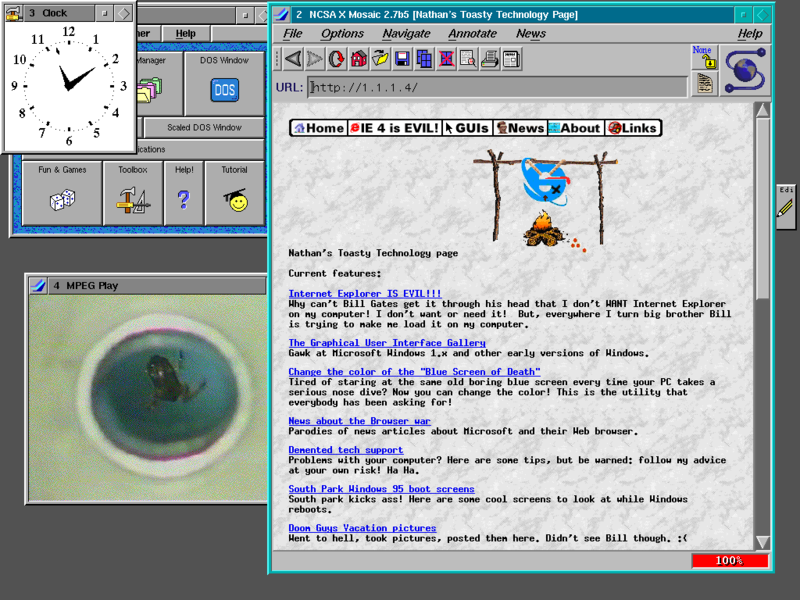 An MPEG player playing a movie of a levitating frog and the Mosaic web browser. 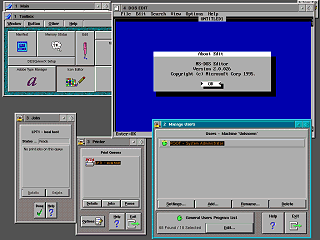 Mosaic requires a DOS TCP/IP network to operate (also not included). For some reason DESQview/X doesn't have its own editor, but instead uses the MS-DOS editor. 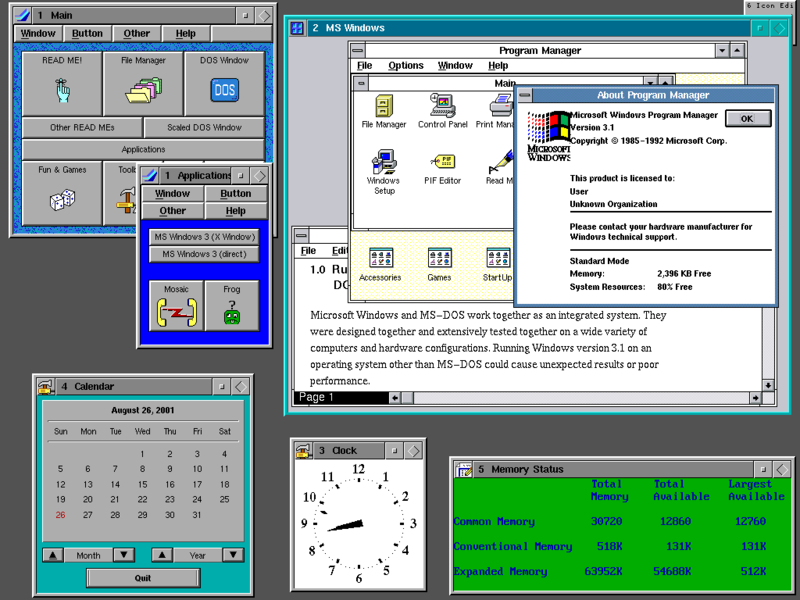 With a DOS TCP/IP network present DESQview/X can run applications remotely. It even comes with a remote launcher that makes this process as easy as point-and-click. Applications running remotely above: Netscape 4.75, xcalc, xsol, and an icon editor.